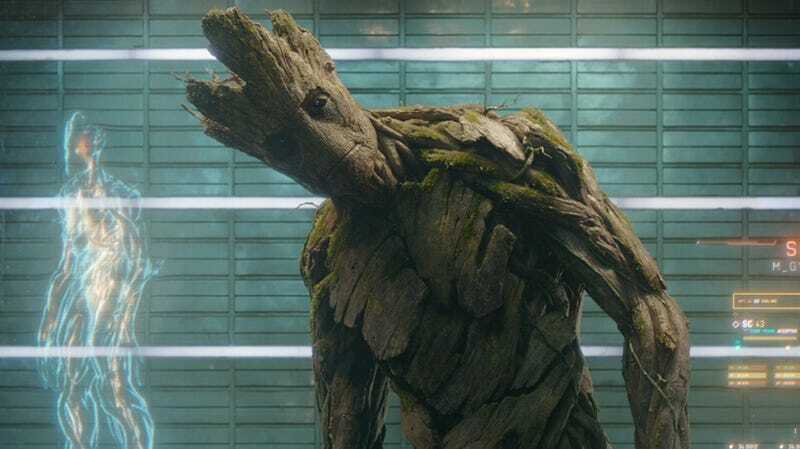 Long before Vin Diesel was Groot, he teased fans about joining the Marvel Cinematic Universe. So few thought saying a few words as a talking tree would be enough for the star. In a new interview with io9, Diesel teased something very different could be on the horizon. First of all, the actor explained that the fact he’s Groot in Guardians of the Galaxy not only doesn’t stop him from playing another Marvel character, it actually helps his case. We’ve heard a lot of talk about Marvel wanting to have me play a character that doesn’t have my voice. So my voice is used for Groot and my presence is used for the other character. Does that mean this hypothetical character would have no voice? An alien voice? Or could it mean a character who wears a mask and would just have a different voice? We don’t know. What we do know is Marvel has a lot of roles to cast in the new few years with three new movie just added for 2020. Vin Diesel’s new movie, The Last Witch Hunter, opens October 23.